Co-Hosted by SitckAForkInMe and SincerelyMiami! 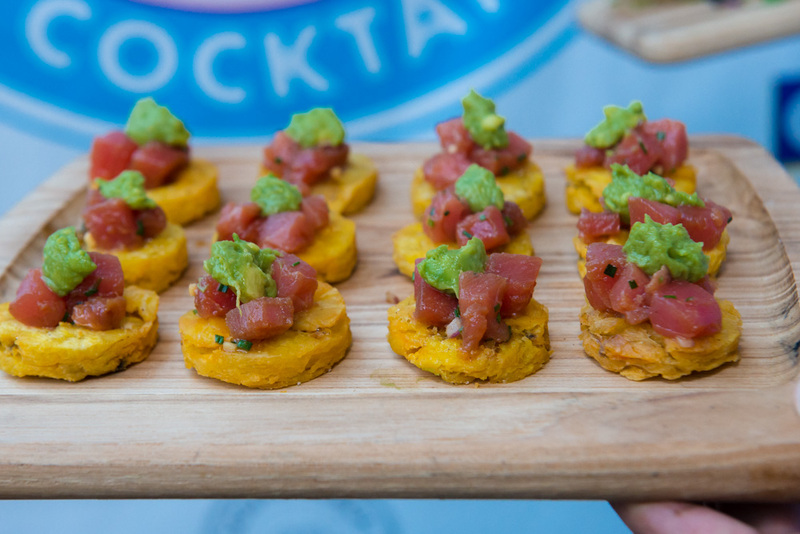 Cooking and Cocktails at South Beach Seafood Week is gearing up to kick off in pure Miami style. On Wednesday, October 17, 2018. 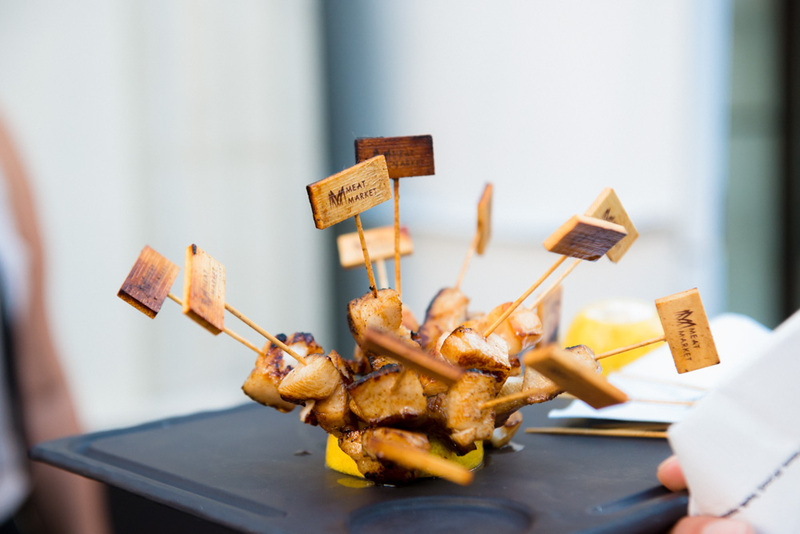 This South Beach event will present guests with six delicious tapas-style courses to tantalize your taste buds in a whole new way. 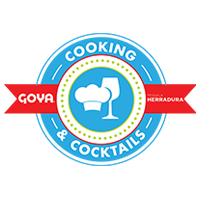 Join us for a glamorous take on a traditional Surf n’ turf meal as Goya Foods’ Executive Chef, Chef Fernando Desa, joins Chef Sean Brasel, the Executive Chef of Meat Market (and Chef Showdown three-time Champion), in the kitchen for one night only. Together, these two culinary kings will create a one-of-a-kind six-course dining experience at the luxurious Meat Market on Lincoln Road. Our guarantee: you’ll never forget it. Gather your family and friends for a night mixing and mingling as you dive into the culinary twists and turns the Chefs have in store. Everything is a uniquely special during Cooking and Cocktails at South Beach Seafood Weekly event, something only these top chefs can provide. Each of your six courses will be paired with a top-shelf cocktail brought to you by Herradura and along with the lead mixologist of Meat Market and the night begins with wines by Saint Clair Family Estate. 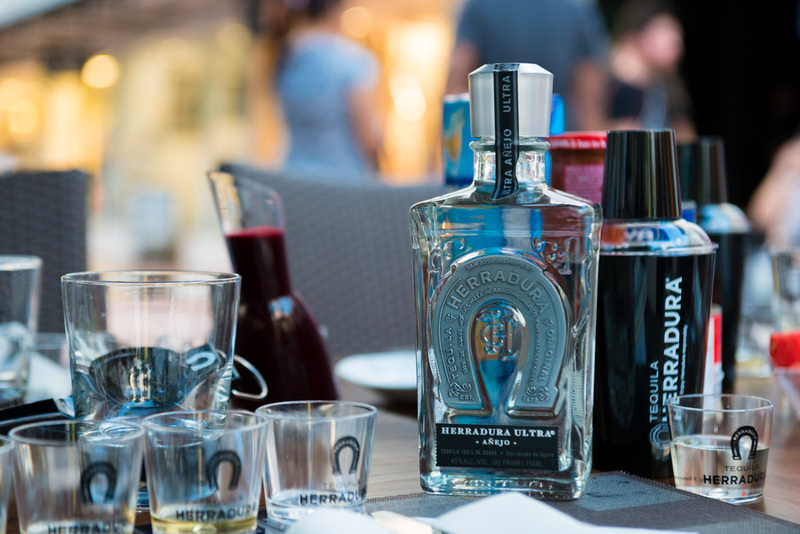 Explore the art of the perfect garnish and add “your favorite 4th” to the tequila with the classic Herradura horseshoe. 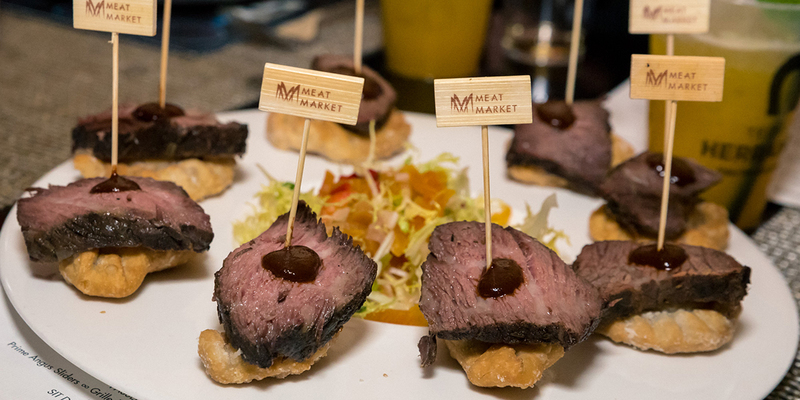 At our Meat Market Miami events, taking things to the next level and surprising your palate is a guarantee. Get ready for a wonderful experience where our featured experts won’t let you go home empty-handed. 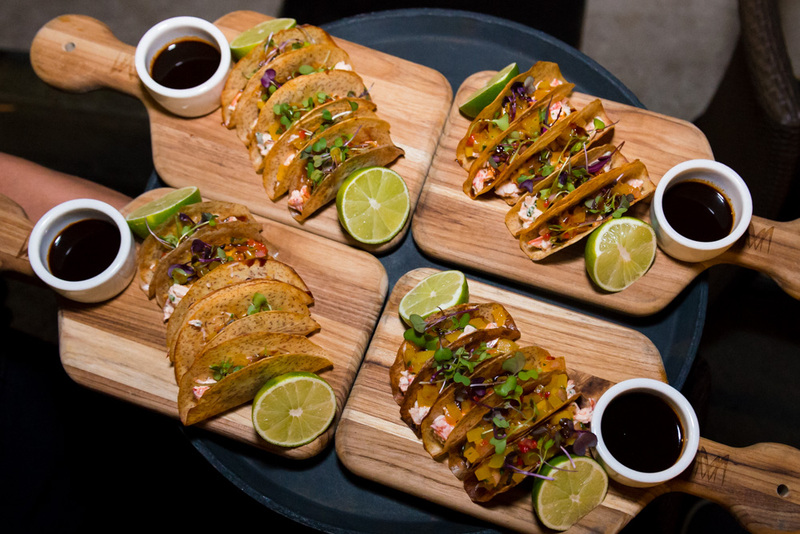 If you’ve ever dreamed of a night out on the town where you could let your taste buds be your guide, attend Cooking and Cocktails at South Beach Seafood Week. You’ll walk away from this evening of decadence with a huge smile on your face—and planning your next visit to Meat Market. 2018 Menu to be Announced in September. Enjoy an evening with six unique and dreamy cocktails that perfectly pair with every dish—from the margarita of your dreams to a dessert drink that will give you perpetual cravings. Recipes and culinary gifts will be provided as the hosts walk you through a delicious evening under the stars on the famous Lincoln Road. 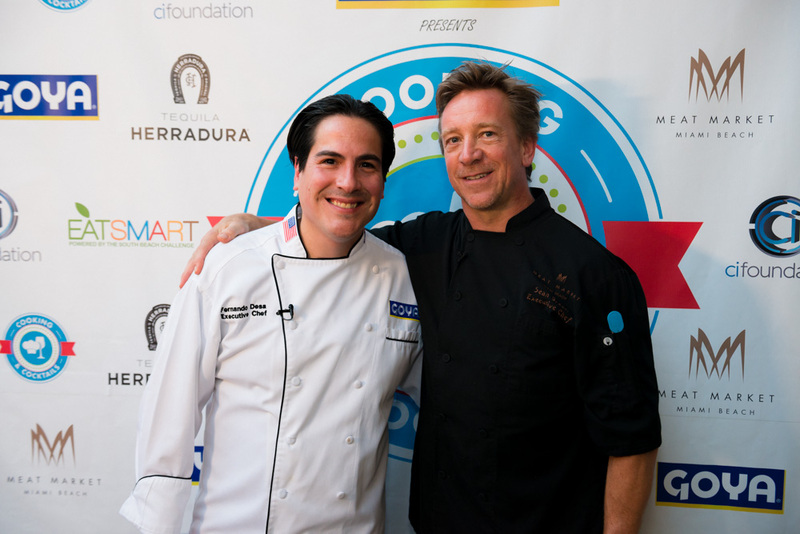 This is one of the top Goya Food events in Miami and one that you definitely do not want to miss. South Beach Seafood Festival Week – here we come! 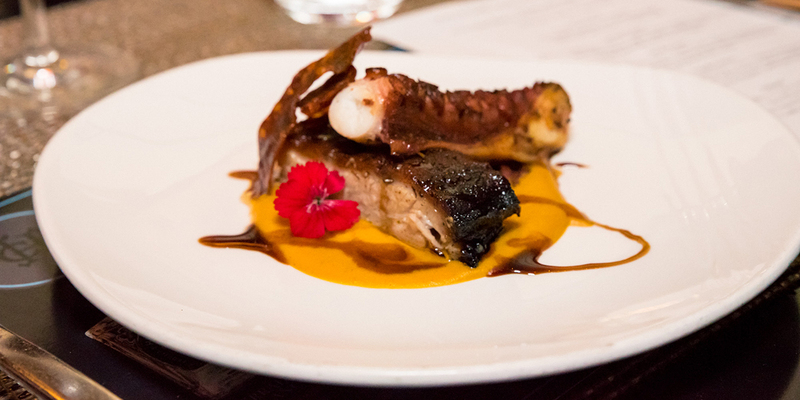 Tickets for Cooking and Cocktails include a pre-fixe six-course pairing dinner with a variety of Meat Market and Goya’s specialties where guests get to enjoy and experience the ultimate in tapas dining with Chef Sean Brasel and Chef Fernando Desa. 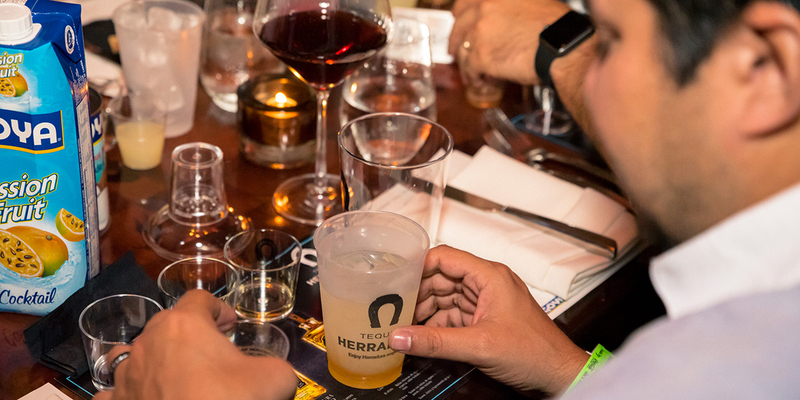 Each course will be perfectly paired with a different Herradura cocktail.